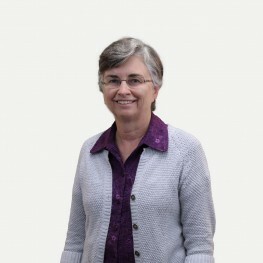 Susan was born and raised in Cornwall, Ontario and became a Christian when she was 23. God’s Word was really central in her coming to faith experience, and so she felt that bringing the Bible to a people group that didn’t have it would be a worthwhile way to spend her life. At the same time, she felt a real pull to become a librarian. So, she ended up choosing to serve on the home side of missions with North Africa Mission. It was there that Susan met Dave who was also committed to Bible translation. They were married and went on to serve with Wycliffe in two very different Asian countries for the next 18 years (and raised a couple of MKs in the process!). While in Pakistan, Susan worked as the finance officer for their organization, then as the hospitable wife of the director, and finally as the group’s technical librarian. In Thailand, Susan served as cashier and doing clerical duties, and was sad that she never had the chance to sort out the neglected group library. Interesting facts: Along with living in Canada and the U.S.A., Susan has lived in Pakistan and Thailand with her family. While her Urdu is a bit rusty, she still maintains good comprehension of the language.